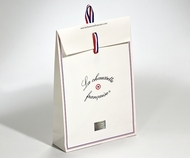 FormBags has a long standing experience of designing and producing personalised paper bags for any kind of industry and customer. 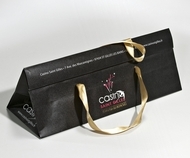 Our printed paper bags are available in various sizes and materials and can be personalised in terms of print and finishings. 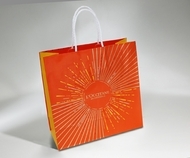 Thanks to the employment of cutting edge technologies, to our 50 years experience in packaging production and to our team of designers and skilled workers, we can offer a wide range of attractive paper carrier bags, suitable to any kind of need or application. 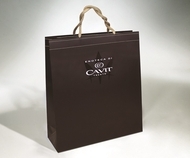 Our range of paper bags includes: machine made bags, practical and good value white or brown paper bags and handmade bags, refined, top-quality. 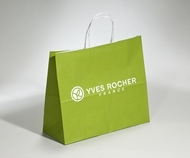 All of our paper carrier bags are available in recycled paper and/or FSC or PEFC certified paper, they are manufactured in an eco-friendly way and comply with the current environmental regulations. Environmental protection is a major concern to FormBags! 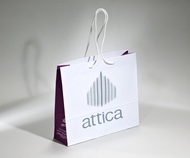 By choosing one of our paper carrier bags, you will have access to a high quality, creative, practical and versatile product, that will serve as marketing and advertising tool for your business. FormBags carrier bags: every day and everywhere, for all to see! MOVE YOUR BRAND!